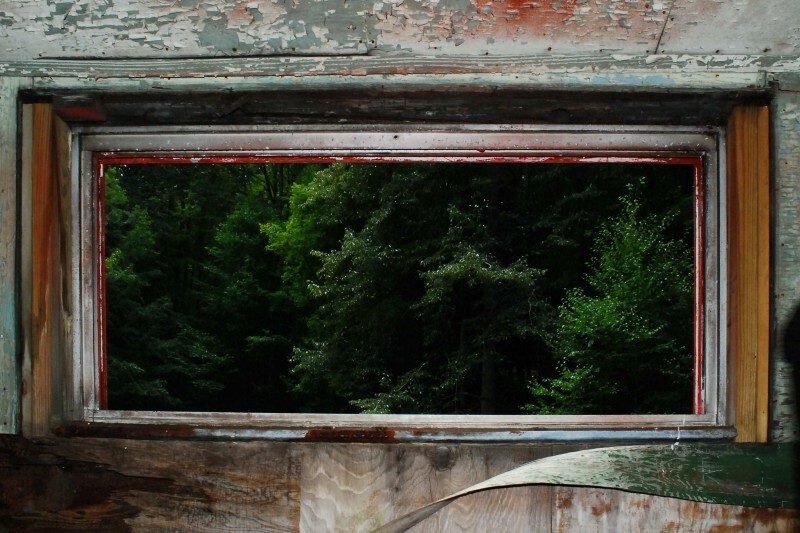 This is a photo taken out of an old, abandoned, caboose window. Cool Springs, WV is a tourist stop on US 50, started in 1929. I travel the backroads looking for the old buildings, signs, bridges, mills, gas stations. I love to document them, before they are destroyed or fade away. I research everything on the Internet before I travel. I started photography when I was in high school, when I bought a used Nikkormat from a coworker. My first solo photo show was at the Creative Alliance in Baltimore. I have been in group shows in Washington, DC, Cumberland, MD and Vermont. I send a photo a day out to hundreds of people by email. The current Maryland state road map has my photo on the cover. I have no formal photography training, but have studied many photography books.